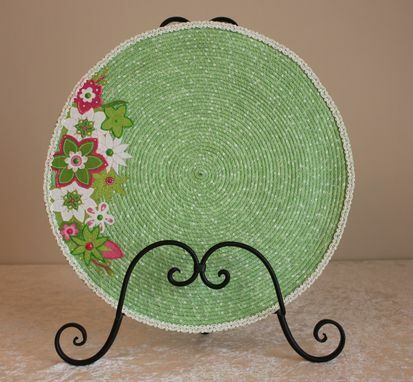 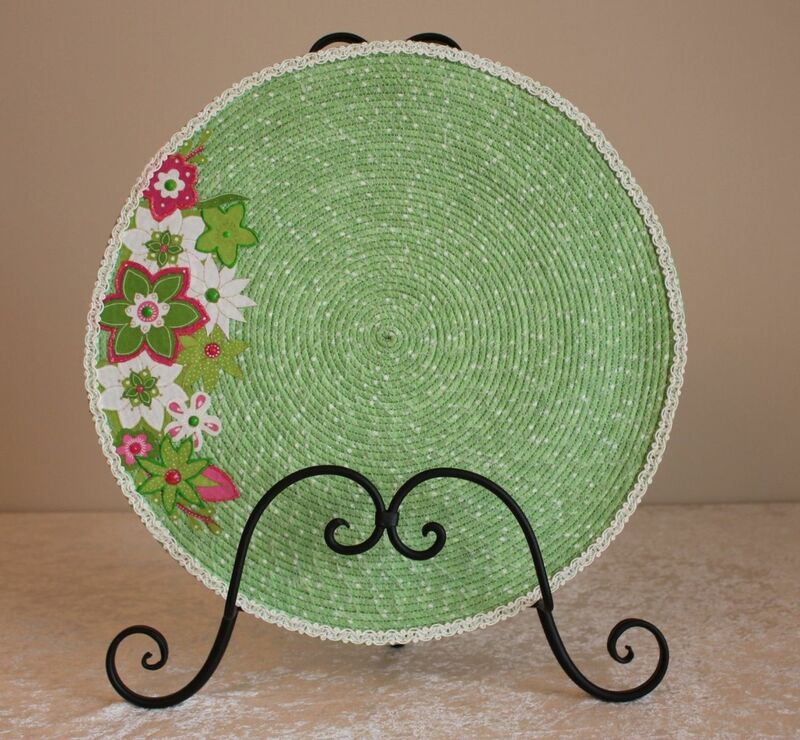 This piece is accented in a green and pink floral applique. 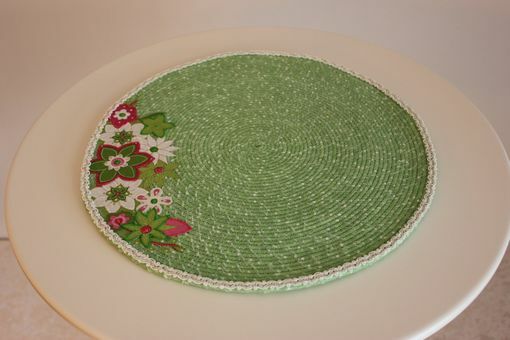 Flowers are accented in matching paint and some beading. 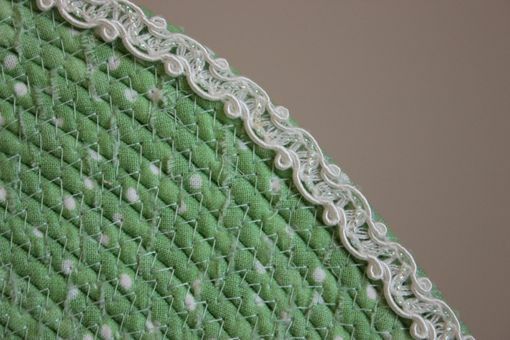 Edging is done in cream beaded lace. 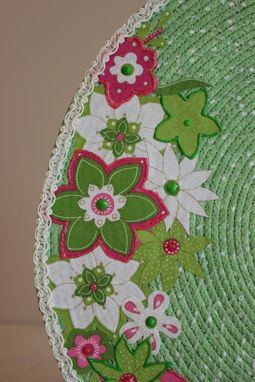 Colors lime green, pink, white.